Abalone is the basis of Victoria's most valuable commercial fishery with a landed value in excess of $AUD28 million for the 2009/10 fishing season. The commercial fishery has three management zones: Eastern, Central and Western, all of which are described in the Victorian Abalone Fishery Management Plan. Abalone are regularly taken by recreational and indigenous fishers. 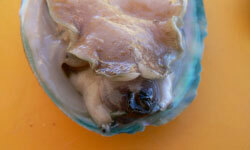 Abalone also forms the basis of a growing aquaculture industry. The disease causes inflammation of the nervous tissue, resulting in curling of the foot and swelling of the mouth. 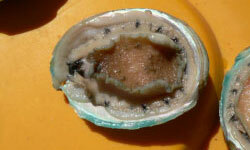 In early May 2006, the disease was found to have infected populations of wild abalone on reefs near Port Fairy. The disease has been responsible for mortalities amongst abalone populations in the southwest. To date, the disease has since been confirmed as far east as Cape Otway and west as far as the Discovery Bay Marine Park. The last confirmation of active disease in Victoria was from near the lighthouse at Cape Otway in December 2009.